Eating organic on a budget may seem daunting, but it is easier than you'd think. 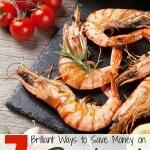 These tips will help you save money on organic food! If feeding your family healthy food is a priority for you, then you have probably already started thinking about organics. Organic foods are grown with fewer pesticides, fewer chemicals, and have fewer preservatives. One of the biggest hurdles someone needs to overcome when purchasing organic foods is the cost. It can really add up if you do not know how to shop for organic products. 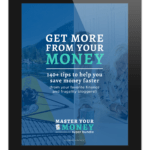 At first glance, it may seem expensive, but you can cut your cost significantly with these tips for eating organic on a budget. Many local stores and grocery stores have coupons for organic foods. Check online first and see what you can find on your favorite coupon sites. Then be sure to check out your local stores' websites to see what coupons they have available. Most people think that they can not find organic coupons, but they are becoming more common as more people switch to a greener lifestyle. Also a coupon that has the words “ANY” can be used on any product that the company makes including an organic version. You can often stack a store coupon with a manufacturer coupon. So if Safeway has a store coupon for a $1.00 off an organic product and you find a manufacturer coupon for the same item, you can use both coupons on a single item. Comparison shopping in one of the best hacks for eating organic on a budget. Use a price book and keep track of the best prices on the organic products your family uses. By keeping a price book, I know that the everyday price at Target and Walmart for organic macaroni and cheese is usually lower than the sale price at Whole Food Market. The price book helps me keep track of “rock bottom prices” so I know when I have found a great sale and can stock up. Use Favado to find Coupon Matchups for stores that carry organic products. They actually have an “organic and natural foods” category for each store covered by the app. The sales are listed with links to coupons you can use on that deal making it a little easier for you to find the best deals on organic in your area. If there are items you know your family will use a lot, like grains, cereals, or snacks, be sure to look for these items in bulk. Warehouse stores and the bulk bin section at grocery stores are great places to find deals. Not only will you pay less per ounce on the item, but it will also save you time going back and forth to the store to replenish these items. If you buy the building blocks of your recipes in bulk, you can then cook them in bulk. Meal prep and batch cooking are your best friend when eating organic on a budget. Here are some batch cooking tutorials. Most grocery stores will have an organic store brand option. Many times, these items are just as good and held up to the same standards as any other organic products. Purchasing organic store brand milk, yogurts, soups, and more will help you save money. I often find organic products in the manager markdown section of my local store. When you buy manager markdowns you have to either revise your menu to include them soon or freeze the items immediately and use them later. Buy organic ingredients not organic packaged food. The more natural the state your food is in at the time of purchase, the less it will cost per ounce. It is a little more work to prepare, but you have complete control over the quality of the ingredients and the cooking process. 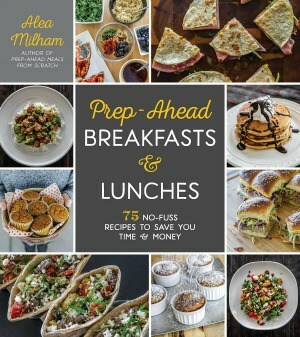 You can find directions for 4 – 6 different ways to batch cook each key protein: chicken, beef, pork, beans, lentils, and rice in my cookbook Prep-Ahead Meals From Scratch. My cookbook also includes 100 quick and easy recipes using the batch cooked ingredients, so you can make dinner in minutes on busy nights. In-season produce is more plentiful than out-of-season produce. Price is tied to supply, so when there is a lot of a particular produce item, it is going to cost you less to buy it. Adapt your menu to include more in-season produce and you will be able to afford to buy more of your produce organic. Farmer's Markets are also a good source of affordable, in-season organic produce. You don't have to buy all organic produce. I don't buy organic oranges, bananas, or mangoes. Why? They are exposed to as much pesticide. Use the Dirty Dozen and Clean 15 Guide to help you decide what produce to buy organic and which fruits and vegetables you can save money on by shopping from the regular produce section. You may be able to find a better deal on some of your favorite packaged organic groceries by shopping online. 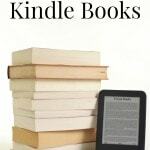 Check Amazon Warehouse Deals for bargains. Abe's Market is a great resource for healthy foods and natural products. One of the best ways to ensure that your produce is grown organically is to grow it yourself. I garden year round even though I live in the high desert. Here are tips for starting a garden in the fall and winter gardening tips. Even if you are not up to gardening in the winter, you can still grow fresh herbs inside. 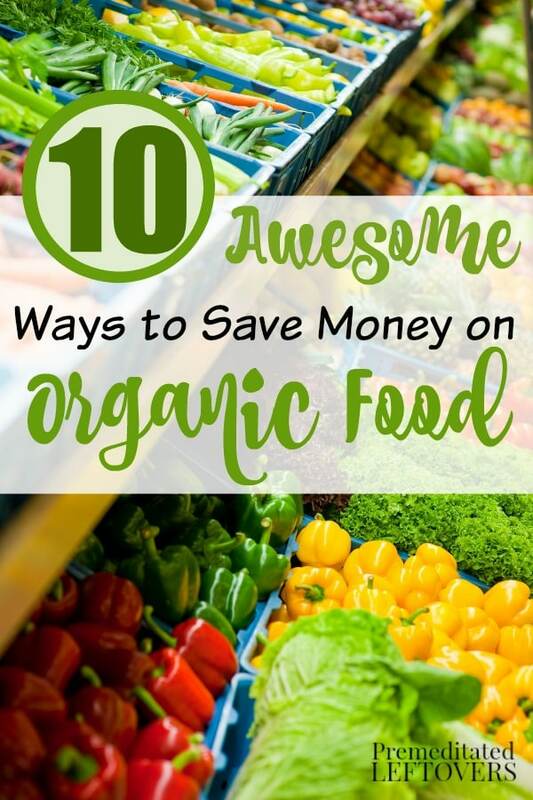 How do you save money on organic food?